We provide our clients access to hundreds of national carriers spread across all markets. Our strength comes from our personal approach to each client. We listen to understand your specific insurance needs. Because of our commitment to our insurance customers and our business practices, we have been recognized as in industry leader. We are honoured to be ranked Top 100 Independent Property/Casualty Agencies Nationwide. 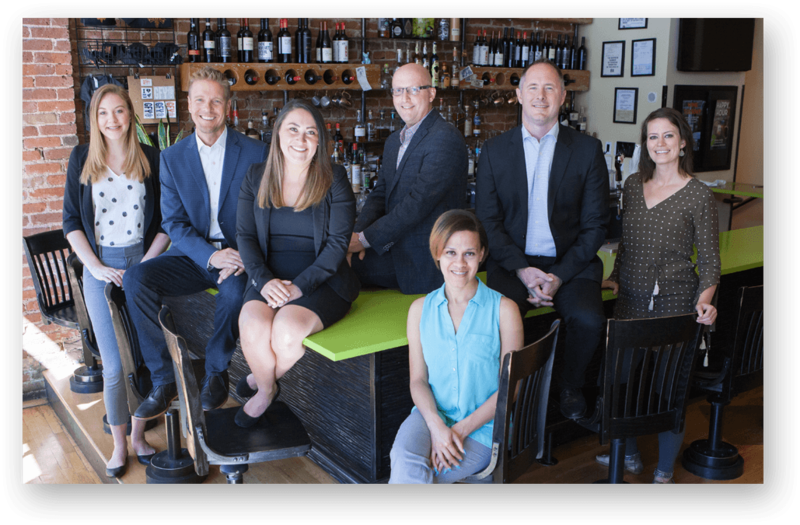 CREST Insurance Group is excited to expand into the state of Colorado with the purchase of the Colorado Restaurant Association Insurance Agency. Sean Pechan will assume the role of the President of the CRI (Crest Restaurant Insurance) and integrate a full brokerage operation based in Denver. CREST Insurance has been a great company to partner with. They are not only professional, but they are equally hardworking and very client oriented. CREST has not only saved our District time and money, they have also made our employee benefits options easy to use and understand. From workman’s compensation to employee benefits such as health, dental, vision and life insurance, they have helped us to get the most benefit options for our money. Their customer service is exceptional and I would recommend CREST to any agency seeking assistance with workman’s compensation and employee benefits. When I first opened my business in 2002, I was having a tough time getting my insurance costs in line. CREST Insurance could not have been a better partner and always treated me as though I was their only customer. CREST always directed me towards other opportunities to help my business grow and became the single most important organization involved with my business. I would not have been successful owning my business without their guidance! I am more than happy to recommend CREST to any organization looking to work with them surrounding their insurance needs, or any type of business consultation for that matter. I was having difficulty getting insurance written and CREST came to my rescue. Their team found solutions no one else could! They helped us to grow our operations from a single state to five states, and they have guided us through every difficulty we had. If you are looking for insurance, call CREST, you will be happy you did. CEO at Harvey Trucking Inc.
CREST is an outstanding insurance agency that I have been working with for 16 years. We have never run into a hurdle we could not clear! Insuring a large fleet of trucks has been easy with their team. Thanks for all your hard work and dedication. We were very impressed with Jody Scott’s knowledge, proactive willingness to provide solid recommendations, and client focused attitude.& Bailey and I place a great deal of importance on receiving excellent service and support from our business partners and we greatly look forward to having a long and mutually beneficial relationship with Jody and the Home & Auto Insurance team. We at Tucson Safety & Medical Supply, have policies for business and home insurance with CREST and feel they take great care of our needs. On the biannual review of other agencies they have come out on top each time. CREST insurance saved Rincon Market. Thanks Brett, Cody and Heather! We are so blessed to have Heather Rivera and Brett Rustand… We love you guys! CREST saved me money on my home and auto insurance. They have a great team to work with, responsive and very helpful during my move! Larry H., CEO at Harvey Trucking Inc.
We were very impressed with Jody Scott’s knowledge, proactive willingness to provide solid recommendations, and client focused attitude. Bailey and I place a great deal of importance on receiving excellent service and support from our business partners and we greatly look forward to having a long and mutually beneficial relationship with Jody and the Home & Auto Insurance team. Upcoming Seminars, Workshops, Events & More!